I read this article and found it very interesting, thought it might be something for you. The article is called Cinema Review: RBG and is located at https://www.totallydublin.ie/film/cinema-reviews/cinema-review-rbg/. At the age of 85, U.S. Supreme Court Justice Ruth Bader Ginsburg has a renowned legal legacy while becoming an unexpected pop culture icon. She emerged from the Harvard Law School in the late ‘50s when she was one of nine women in a class of over 500. Ginsberg has spent her lifetime fighting injustices and discrimination at every tilt leading to her appointment to the Supreme Court in 1993. 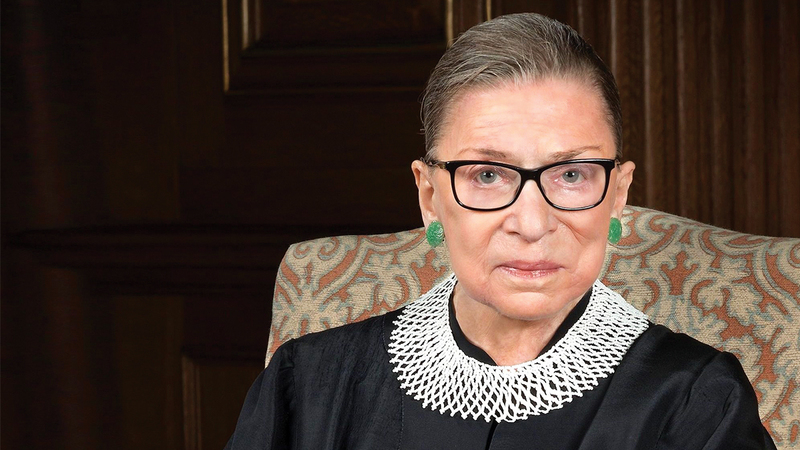 RBG is a deeply affectionate portrait of a woman it simply is impossible not to respect and utterly adore. She was an “exigent” mother according to her children and a workaholic who was supported by her loving husband Marty up to his death in 2010. She can’t cook, loves the opera, hasn’t missed a single day of oral arguments since joining the Supreme Court, survived two bouts of cancer and just returned to the Court after a fall where she fractured her ribs. She is both an icon and powerhouse. Taking more than $14m in the US box office proves how crucial and timely an understanding and appreciation of Ginsberg is. Contributors, besides family, include Gloria Steinem and Senator Orrin Hatch. With the controversial arrival of Brett Kavanaugh on the Court swinging it even further into the clutches of conservatives, the need for her dissenting voice goes without question. RBG has displayed an equanimity throughout her career which is singularly lacking in discourse across contemporary politics and the media. Ginsberg has proven to be a shrewd strategist, subtle persuader and a Bubby to be smitten with.